People in your church are busy. It’s a Herculean task to get them to be church volunteers. They don’t want to give it to your pet ministry. They want it to meet their idea of ministry, which rarely lines up with the church’s needs. Even if you can get volunteers, you still need to recruit them, make them competent, track their progress and consistency, and coordinate and communicate the event details every single week. Below is a proven, effective 7-step strategy to make the entire project of church volunteer management as easy as pushing a button. If you use this 7-step strategy as your protocol for church volunteer scheduling, recruitment, and training, you will have the ability to reduce the time and energy spent on church volunteer management. Stop using Google Docs to manage everything. Stop using sticky notes, pen and paper, emails to yourself, and task lists. The best church volunteer management software that exists is Tithe.ly Church Management. As a pastor, you would log in as a Super Administrator. You are able to visualize everything from your desktop and phone. Then, you would have all users register through the custom church app (which Tithe.ly builds for you). They would add their names, phone numbers, and addresses. As a Super Administrator or Church Leader, you can communicate with everyone via SMS text messages, push notifications, or emails to a particular group. Users can also check the app to find event details, update their attendance status, and even check in for the event in real time. Don’t recruit volunteers until you have Tithe.ly ChMS. And if you already have volunteers, getting Tithe.ly ChMS for your church is your first order of business. No church volunteer management app will help your ministry grow if you don’t have any volunteers. Approach members one-on-one and ask them to volunteer. communications plan (Weekly email, inclusion in church newsletter, a pitch for why people should volunteer, ideal volunteers, and particular jobs for which people would be well suited). If this is your first time undertaking a major recruitment effort, use these tips to maximize the number of volunteers and their buy-in. This doesn’t mean give people a PowerPoint presentation. Find a way for prospective church volunteers to experience the meaningfulness of the ministry first-hand. B. Make volunteer signup very easy. If this is your call-to-action, you will compromise 90% of your church volunteer recruiting potential. Make volunteer signup this simple: Register for our volunteer initiation meeting next Sunday with the form under your seat or on our app. Concrete. Straightforward. Simple. Easy to complete. Pro tip: This is why you need to have Tithe.ly ChMS before you start recruiting—otherwise, you will lose out on potential volunteers signing up to help. Make sure that all of your volunteers who work with children undergo the appropriate background checks. In order to run a background check, you must receive written consent from your volunteer. Introduce this background check as a small formality so as not to scare off potential volunteers. You can use one of the Background Check Authorization forms from eForms to give to volunteers to complete. Then, hire a Consumer Reporting Agency to run a background check for you. It’s important that you don’t administrate a background check yourself. A professional CRA will know how to comply with the federal Fair Credit Reporting Act so that you are protected from liability against people who suspected they were discriminated against because of some information that was found. This step is not necessary for all volunteers, but it is certainly necessary for any volunteers who work with children. If you don’t do this as a consistent practice, the integrity of your children’s ministry volunteers is compromised. This is a foundational practice that should come before a single volunteer is hired. With Tithe.ly ChMS, we make it easy for you to keep track of background checks in your church. Here’s how. Don’t expect people to just show up and know what to do. There are two kinds of training you can implement in your church. The first kind of training is a generic “Church Volunteers Introduction” course that you can run twice per year for all volunteers. Make it a required course for all volunteers within six months of their starting to volunteer at the church so they can know what the church’s vision for volunteering is. It’s important that volunteers be on the same page, not only about the protocol of the ministry in which they are volunteering, but also about the message that the church wants to send collectively through volunteers. In one sense, a church should be thankful that anyone wants to volunteer. And yet, a church shouldn’t let just anyone show up and put on the church’s t-shirt as a greeter. Make sure that you train these representatives to actually represent the church’s intended mission, belief, and welcoming and service strategies. The second kind of training is ministry-specific training. Ministry-specific training gives people a common protocol for doing ministry. Even veterans should attend training for a new ministry. Most volunteers have ministry experience, but that doesn’t eliminate the need to get everyone on the same page. Training isn’t a condescending way to insist that veteran volunteers don’t know what they’re doing. It’s an opportunity to get everyone on the same page. Need help tracking your volunteers? You can use church volunteer scheduling software to make this process a snap. Make sure each of your designated leaders and volunteers has downloaded the church app that comes with Tithe.ly ChMS. This should be done during all Church Volunteer Training meetings and ensured during all monthly check-ins. Then, make sure that it becomes consistent protocol that every time someone shows up to volunteer, they check in with your app. This should be enforced fairly strictly — at the very least, your volunteers should check in to protect them and you from any liability that comes from their volunteering at your events. Use this check-in protocol as a way to manage which volunteers need to receive updates about events they missed, who is consistent, what prayer requests are needed, and how volunteering health can be coordinated with the broader mission of the church to make disciples and serve the surrounding community. Meet monthly to raise praises, prayers, and incidents contained in a particular volunteer group. Turn praises into recruitment pitches for volunteers. Turn prayer needs into motivation for current volunteers to recruit more. Turn incidents into lessons learned for improvement. Turn volunteers into recruiters for the same ministry. This automates your role as a leader and allows you to focus on recruiting for and optimizing existing ministries. At your regular non-event ministry meetings, remind volunteers of needed skills and labor, and ask them to actively recruit candidates in the church. Explain to them that when they seek to recruit someone else for the team, they should download your church app that comes with Tithe.ly ChMS and use that as a way for you to touch base with them about the possibility of volunteering on your specific ministry team. You need to start with church volunteer management software. Otherwise, people will feel like you’re bootstrapping something that is not legitimate. Using software adds legitimacy, efficiency, effectiveness, and longevity to your ministry. You need Tithe.ly ChMS to manage your church volunteers. 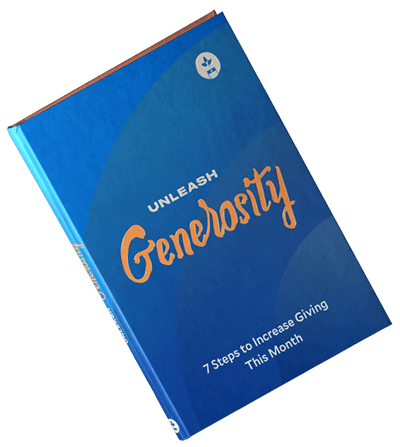 If you’re not using Tithe.ly ChMS, you’re sliding into an inefficient, time-wasting ministry strategy that will yield a sub-par quality of volunteer relationships that your volunteers will feel. People want to be part of something that looks and feels well-resourced and well managed. If you use Google Docs and Gmail to coordinate all of your ministries, you will fail to achieve this bar. You will be compromising your ability to recruit, train, and mobilize well. If you do this, the quality of your volunteers will increase and the buy-in from your church will skyrocket.